Elephants are earth's largest land animals. 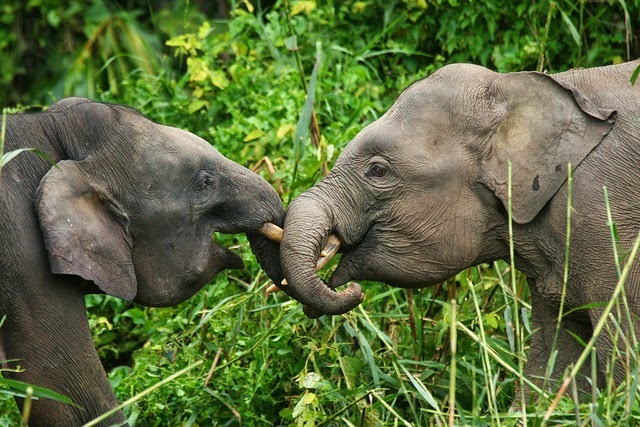 The Bornean elephant is slightly smaller than its African cousin but the Bornean Elephant, an endemic subspecies of the Asian elephant, is the smallest and the least aggressive. It, however, has larger ears than the Asian elephant, is more rotund and has the largest tail that reaches almost to the ground. 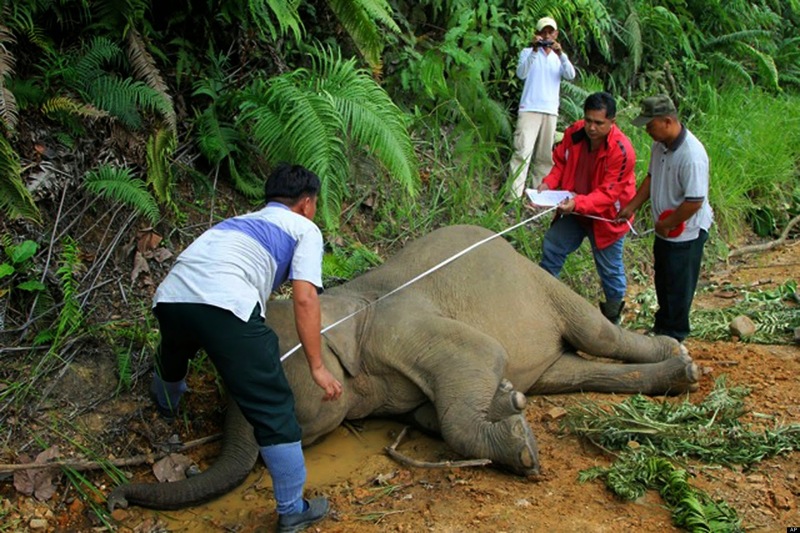 It is estimated that there are about 1,000-1,500 of these elusive elephants left in the world and their range is limited to only a small part of north-eastern Borneo. They live in tropical rainforests and floodplains where they feed mainly on grasses, palms and wild bananas. Elephants are voracious eaters and spend most of the day foraging for large quantities of food. Their foraging activities create clearings in which new young trees and other vegetation grow to provide even more food for the elephants and other animals. Elephants travel in herds led by a dominant female, the matriarch, which is usually the oldest and most experienced in the herd of related females and their young. The male elephants, however, tend to roam on their own. They use low frequency sound waves for communication between members of the herd and individuals outside the herd and these sounds can carry for distances of up to 10 miles.